Tech Help LA takes pride in focusing on the most important aspects of our customers operations pertaining to their computers and mobile devices. All computers need regular maintenance. The Internet although convenient and helpful, it also has a random malicious nature that can cause various problems for users and their devices. Our top priority above all things is to make sure that our customers know the importance of security and backing up their data regularly. We highly recommend that you contact us to schedule a computer maintenance network and backup check appointment or a 5 minute phone consultation to speak to a tech about your current backup solution. 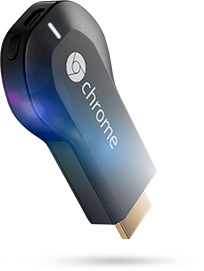 Chromebit – A full Chrome OS-based computer on an HDMI stick. The $85 Chromebit is a 75 gram (or 2.6 ounces) stick that you can plug into any HDMI port — whether that’s a regular computer screen or that large TV in your living room. It comes with 16GB of onboard storage (in the form of relatively cheap and slow eMMC storage) and 2GB of RAM. In many ways, it’s a larger, bulkier version of the old Chromecast stick. Just like that device, it comes with a dedicated charger, but unlike the Chromecast, it also features a USB port. The Rockchip-based Chromebit comes in “Cacao Black” and “Tangerine Orange,” but overall, it’s a pretty unassuming device that’s mostly meant to disappear behind your screen anyway (hence why I’m not sure why there is an orange version). While most people will likely want to use a Bluetooth mouse and keyboard to connect to the Chromebit, the USB port allows you to plug in wired peripherals as well (and with a USB hub, you could even plug in multiple devices). Because it’s a full Chrome OS machine, you can pretty much run any web app on it. It’ll let you play movies and TV shows from Google Play, Netflix or Hulu, just like any other Chrome OS device, for example. 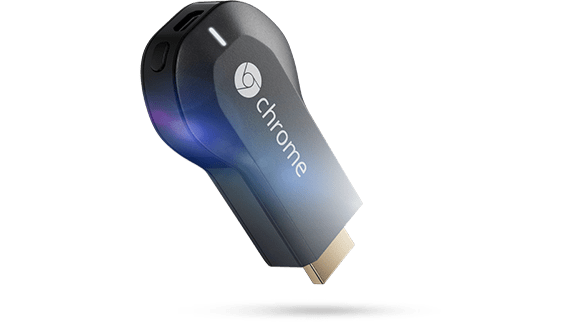 You could probably use the Chromebit as a somewhat cumbersome media center in your living room if you wanted to, but it’s really at home in a school, enterprise, or maybe call center. As long as the work only involves web apps (or maybe a remote connection to a more fully-featured machine), the Chromebit is up for the job and can turn any screen into a usable desktop. In the U.S., the Chromebit will be available at Amazon, Fry’s and Newegg (interestingly, Google’s usual Chrome OS partner Best Buy isn’t part of this initial list of vendors). Contact Tech Help LA for more info on the Chromebit device. Apple is set to acquire headphone maker and music company Beats Electronics for a reported $3.2 billion. The acquisition could be announced as early as next week, the Financial Times reported, based on people familiar with the negotiations. USA TODAY independently confirmed the talks through a source who is not authorized to speak publicly about it. If consummated, Apple’s purchase of Beats could represent the company’s largest acquisition ever. Apple and Beats declined to comment on the report. Music mogul Jimmy Iovine and producer-rapper Dr. Dre co-founded Beats Electronics seven years ago and launched the high-end headphones craze. Earlier this year,they launched Beats Music, a premium music-streaming service. Should the acquisition go through, it would be ironic in a way. Dre and Iovine came up with the idea for Beats by lamenting the decline in sound quality ushered in by Apple’s own iPod and the MP3 era. “For convenience and speed, everyone sacrificed sound,” Iovine told USA TODAY three years ago. “The emotion of the music is almost unrecognizable to what is recorded in the studio,” said Iovine, who is the chairman of Interscope/Geffen/A&M records. They introduced the original $300 Beats Studio model in 2008 and since then, Beats has expanded its lineup to include other headphones with the help of Lady Gaga, LeBron James and Justin Bieber, as well as portable speakers and even music-processing technology for cars, computers and smartphones. This would be Beats second go-round with a phone maker. Electronics maker HTC bought half the company in 2011 for $300 million, and Beats Audio was introduced to cellphones. Last year, Beats bought back all of HTC’s share of the company and got a reported $500 million investment from The Carlyle Group. What Is the Heartbleed Encryption Bug? Twitter No Yes Unclear Twitter wrote that OpenSSL “is widely used across the internet and at Twitter. We were able to determine that [our] servers were not affected by this vulnerability. We are continuing to monitor the situation.” While reiterating that they were unaffected, Twitter toldMashable that they did apply a patch. Google Yes Yes YesYes* “We have assessed the SSL vulnerability and applied patches to key Google services.” Search, Gmail, YouTube, Wallet, Play, Apps and App Engine were affected; Google Chrome and Chrome OS were not. Yahoo Yes Yes YesYes “As soon as we became aware of the issue, we began working to fix it… and we are working to implement the fix across the rest of our sites right now.” Yahoo Homepage, Yahoo Search, Yahoo Mail, Yahoo Finance, Yahoo Sports, Yahoo Food, Yahoo Tech, Flickr and Tumblr were patched. More patches to come, Yahoo says. AOL No No No AOL told Mashableit was not running the vulnerable version of the software. Amazon Web Services(for website operators) Yes Yes YesYes Most services were unaffected or Amazon was already able to apply mitigations (see advisory note here). Elastic Load Balancing, Amazon EC2, Amazon Linux AMI, Red Hat Enterprise Linux, Ubuntu, AWS OpsWorks, AWS Elastic Beanstalk and Amazon CloudFront were patched. Etsy Yes* Yes YesYes Etsy said that only a small part of its infrastructure was vulnerable, and they have patched it. Pandora No No No No comment provided. SoundCloud Yes Yes YesYes SoundCloud emphasized that there were no indications of any foul play and that the company’s actions were simply precautionary. *Google saidusers do not need to change their passwords, but because of the previous vulnerability, better safe than sorry. Venmo Yes Yes YesYes Venmo sent an email to its users, saying the company took “immediate steps to patch the potential vulnerability” and recommended that they change their passwords. Intuit (TurboTax) No No No Turbotax wrotethat “engineers have verified TurboTax is not affected by Heartbleed.” The company has issued new certificates anyway, and said it’s not “proactively advising” users to change their passwords. IFTTT Yes Yes YesYes IFTTT emailed all its users and logged them out, prompting them to change their password on the site. WordPress Yes Yes YesYes WordPressconfirmed that it was vulnerable to Heartbleed and that it has patched its servers “within a few hours of the public disclosure.” WordPress is not forcing users to change their passwords, but said users “are welcome” to do it. 1Password No No No 1Password said in a blog postthat its technology “is not built upon SSL/TLS in general, and not upon OpenSSL in particular.” So users don’t need to change their master password. 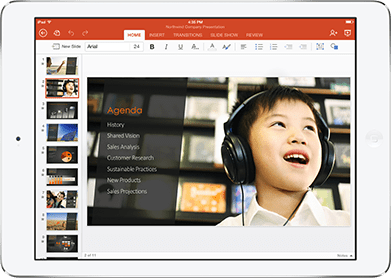 Office for iPad. It’s your Office when and where you need it. If you are using Google Voice, here is a tool that you may like to use on your Windows PC. This tool allows you to have the freedom to text and make calls using your computer rather than having to rely on your mobile device 100% of the time. 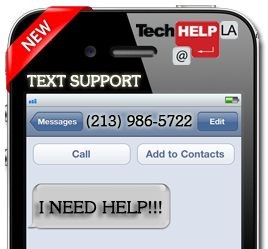 At Tech Help LA we find it very useful and thought we would share it with others. Help is our middle name. simple and streamlined. Sign up takes less than five minutes. one place, so you can finally get the entire picture. Stay on top of your finances. See what’s happening with all your accounts – checking, savings, investments, retirement – at any moment of the day. And our free mobile apps mean you can track your money on-the-go. Set a budget and create a plan to reach your personalfinancial goals. You can track your progress online or stay up-to-date with monthly emails. And we’ll help you achieve your goals faster with helpful free advice and next steps. the raves from our 10 million users. Get a professional email address – available from any web browser, your mobile phone, tablet, or even offline. Tech Help LA’s Professional Email works with Microsoft Outlook® and offers a 99.9% up-time. AOL, Hotmail, Gmail, and Yahoo will not give you a professional presence when corresponding with your network. Getting your own email address (YourName@PickYourName.com) is easy and will make you look more professional. The easiest way to enjoy online video and music on your TV. 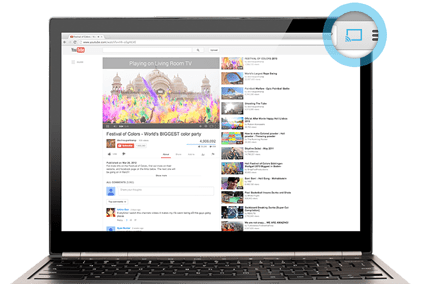 With Chromecast, you can easily enjoy your favorite online entertainment on your HDTV—movies, TV shows, music, and more from Netflix, YouTube, Google Play, and Chrome. No more huddling around small screens and tiny speakers. Chromecast automatically updates to work with a growing number of apps. Chromecast works with devices you already own, including Android tablets and smartphones, iPhones®, iPads®, Chrome for Mac® and Chrome for Windows®. Browse for what to watch, control playback, and adjust volume using your device. You won’t have to learn anything new. Everything you love, now on your TV.